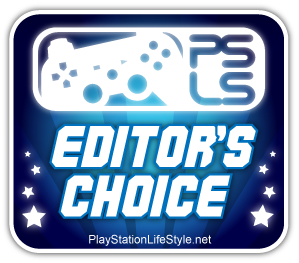 PlayStation LifeStyle, and me personally, have a unique relationship with The Last Guardian. 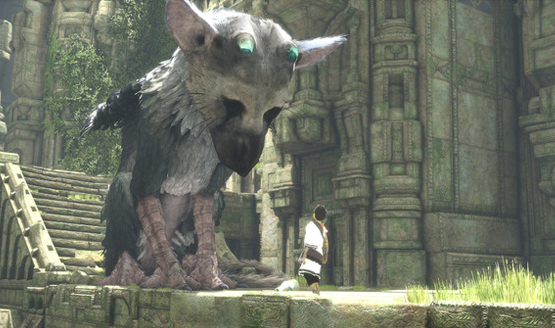 It was us – me – that leaked the Project Trico footage back in 2009 just ahead of the E3 where it was to debut officially as The Last Guardian (something I’ve long regretted). We’ve watched the countless delays, the missed conventions, the Team ICO staff exodus, and couldn’t help but wonder if we were in some way partially responsible. It’s now seven years later, and after spending the last 72 hours with this mysterious boy and his Trico, we know it’s the labor of love and commitment to vision that kept The Last Guardian chained away in darkness for so long. The Last Guardian was every bit worth the wait. The Last Guardian is a tale of young boy taken from his village and whisked away to walled ancient ruins, impervious to anything but the giant winged Trico – a part avian, part mammalian creature. 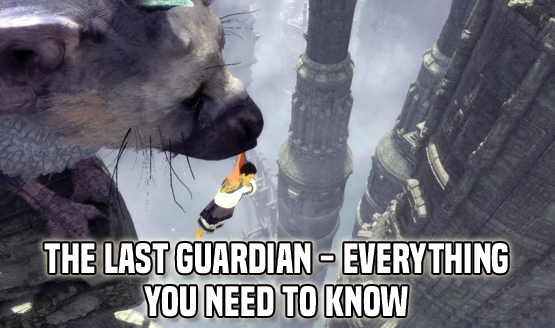 More significantly, The Last Guardian is about their symbiotic relationship and how it’s necessary to their survival. The two, together, navigate the ancient ruins ever upward, facing puzzles, traps, enemies, and a mysterious presence every step of the way. The game introduces the two abruptly without explanation. In fact, much of the game goes on without any narrative, any direction as to what’s going on, why it’s going on, and what you need to do next. The Last Guardian’s biggest achievement is through creating such organic of an environment, relationship, and context, that the way forward is almost always the most natural way to progress. The boy finds an injured Trico on the floor of the ruins and, realizing he’s alone, he tends to the mythical beast. There’s an understanding that the boy’s innocence compels him to help the Trico, despite how intimidating the at times adorable creature can be. The boy removes spears from Trico’s hind, and sets off in search of barrels to feed the Trico in an effort to nurse him back to health. In time, the Trico begins to perk up and respond to the boy’s care. Amazingly, the regular care and maintenance of the Trico, and how it applies to the world around you makes up the bulk of the gameplay in The Last Guardian. And it never once is a chore, or gets in the way of the enjoyment of the game. Instead, it’s this brilliant use of the core relationship that creates unique gameplay situations that have never been experienced before. At first, the two look to each other to play to each other’s strengths and weaknesses out of necessity and survival, and while it always remains so, in no time they stay together out of genuine companionship and love toward one another. And it’s simply beautiful. Relationships and how they fit within a game’s world can be a major driver in a narrative and the player experience. In The Last Guardian, there’s rarely a word spoken to give clarity to what the boy and the beast are thinking, yet they have the most believable and understood relationship in a video game ever. It’s the same understanding you’d see observing a toddler and a puppy playing – there’s an unspoken bond. The unspoken understanding of their bond and the inner desire to see the two survive and complete their task comes from the most basic of human emotion. And it’s impossible to play through The Last Guardian and not feel an air of familiarity in the relationship and interactions between the two. Everyone who has ever had a pet, or even knows someone who loves their pet, will notice the physical and personality traits in Trico. I believe it’s for that reason, Ueda and his team chose a creature that borrowed elements and features from so many different animals. Trico moves and jumps like a cat, has the eyes and heart of a dog, yet is feathered and packs a set of talons. So many games illustrate real-world animals with extreme likeness, but even with Trico being a completely fictional beast, it is the single most believable and life-like animal in a video game, ever. And by miles. You can see the curiosity in its face, feel the pain in its grimace, and sense the worry in its eyes. Every emotion and thought is worn on its figurative sleeve. How invested you are in the care and longevity of the boy, and more so, Trico, ups the ante in tense or dangerous situations. And it’s also what drives all of the game’s puzzles. The Trico is a towering beast, while the boy is no more than the size of its paw. This means passages the boy can squeeze through are too tight a fit for Trico. Trico can leap from peak to peak, while the boy would have to climb for days to make the same advances. The contrast makes for a seemingly endless amount of puzzles to solve. Because a word is so rarely spoken, there is almost never direction in what to do next. And the solutions are never once obvious. The natural thing to do is to keep exploring and searching for the end, but often taking a step back and just observing Trico’s actions will show the way. Even knowing or seeing a solution doesn’t mean you’re able to complete a puzzle easily. Some puzzles are completely reliant on Trico – whom you have no control over besides issuing very light directional commands – and require the boy to direct Trico on what to do. For example, Trico won’t dive deep into water until the boy shows him how. It’s rare the two separate, reminiscent of the hand-holding, guided gameplay found between Yorda and Ico in ICO. 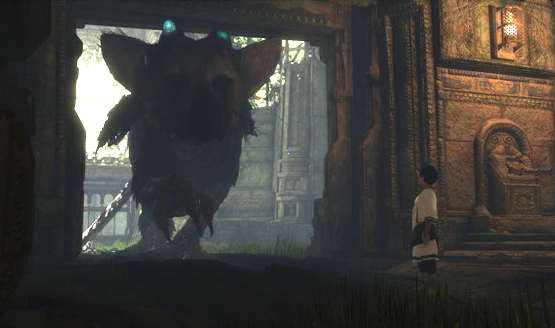 Except both the boy and Trico lead equally due to how varied the landscape found in the ruins can be. 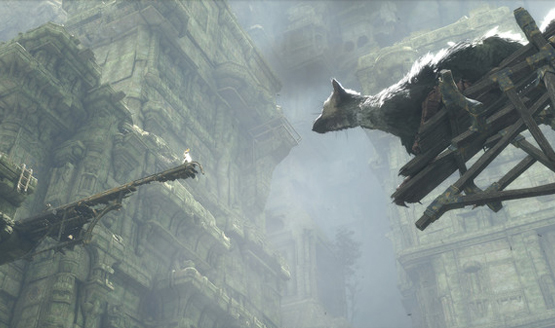 Much of the platforming in the game depends on using Trico’s body in addition to the surroundings. Before you can reach a high ledge, Trico may need to stretch its legs and peek atop the ledge before the boy can climb its body and make the leap. Or the boy may need to lower down Trico’s tail to get through an underground passage. The traversing of Trico’s frame in the midst of exploring the game’s nooks and crannies feels very similar to Shadow of the Colossus. Fans of the two critically-acclaimed Team ICO classics are well-served throughout The Last Guardian, and the concepts that made the two titles shine are combined for a synergistic effect. When the journey comes to an end, you’ll find yourself in shock, emotionally-drained, and appreciative The Last Guardian stayed in development this long and still made it to release. The entire game’s pace is perfect. The difficulty and challenge is high, and completely reliant on how observant and explorative the player is. Every section of the game is stunningly gorgeous – a real work of art. The gameplay is pure perfection (aside for some clunky controls). The thematic use of the boy and the beast’s relationship and how it applies to the gameplay, the world, and the puzzles is nothing short of brilliance. The climax is a real tear-jerker, while not going for the obvious and providing a positive, heart-warming conclusion. If there were ever a game that was deserving of the word ‘perfect,’ The Last Guardian is it. In an industry where every developer packs in as many new features, as many modes, options, and configurations, The Last Guardian has no upgrades, no leveling, no add-on map packs, no RPG elements – it is an almost solitary experience, between nothing more than a boy, a beast, and the big world around them, yet it outshines nearly everything else. Video games as a market might demand the Call of Duty’s of the world to move units and put a spotlight on the industry through hype and marketing buzz, but video games as a medium deserves The Last Guardian. The Last Guardian review code provided by publisher. For more information on scoring please see our Review Policy here.